1 – Easter wasn’t very long ago, why do we celebrate Easter? 2 – Why did God send Jesus to Earth? Not only does He send Jesus to Earth, but He sends Jesus to die on Earth, to die on a cross. Why? 4 – In this story, the father represents God and the brothers represent us. How do you think the father felt when his youngest son left home? How did the father feel when the son returned home? 5 – What is the worst, meanest, wrongest thing you’ve ever done? Did you eventually say sorry? Was it easy to say sorry? Were you forgiven? Jesus told this story so that people would know that no matter what, they can never, ever run too far away from God. That God is always waiting for them, loving them, wanting them to come home. 6 – Ask your parents how much they love you. Make sure you tell your parents how much you love them. And, then think about how God’s love is like a hundred billion times greater than that. Let’s try a new song for every week. Jesus Died and Rose Again! This week we celebrated a very special, exciting event. We celebrated Easter! You can read the story in Mark 14-16. What is your favourite thing about Easter? Why were Jesus’ friends so sad on Good Friday? Have you ever been sad? Does it make you sad to think of Jesus dying on the cross? How did you feel when you saw that the egg was empty? How do you think Jesus’ friends felt when they saw that the tomb was empty and the angel told them Jesus wasn’t dead anymore but was alive? How do you feel when you’re excited? Are you excited about Jesus being alive just like Jesus’ friends were? Here’s a video you can watch that helps us understand how something so sad can make us so happy. This week you get two lessons for the price of one! (free that is) On March 26th we heard the story of Jesus healing Simon’s mother in law (Mark 9:29-39), and on April 2nd we heard the story of Zacchaeus (Luke 19:1-10). 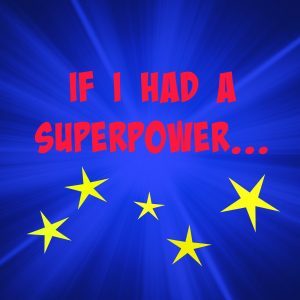 If you could have a super power what would it be? Would it be a super power that could help people? Did Jesus heal those people? Did he stick around to keep healing people? Why did he tell the disciples he was leaving? How did Zacchaeus change after he had lunch with Jesus? Did he stay a mean guy? Has anyone ever been mean to you? Is it easy or hard to love someone who’s been mean to you? Have you ever been mean? Jesus will always love us. Always, always, always, no matter if we’ve been mean, or bad, or unkind. He wants to heal and change our hearts to be more like him, that’s why he came to rescue us! It’s not always easy to love other people, but 1 John 4:19 tells us that Jesus loves us no matter what and, with Jesus’ help, we can learn to love others (even if they’re mean!). Pray together and ask God to help our hearts to change to be loving and kind, just like Jesus. Then watch this fun song about Zacchaeus!